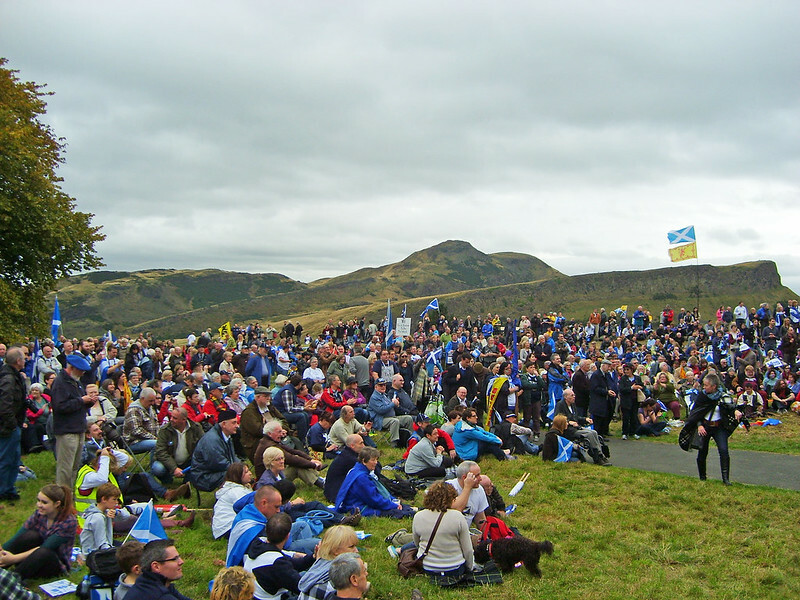 I’ve written an article for the New Statesman which profiles the pro-independence campaign National Collective, and discusses why Scottish artists are overwhelmingly declaring for the Yes campaign when support among the general public has hovered around 30 – 35% in the polls for months. The novelist AL Kennedy and the playwright Alan Bissett were kind enough to contribute their thoughts on the issue. Last week I wrote a ‘how to’ guide to ghostwriting for IdeasMag. Ghostwriting is a useful way for writers to subsidise their income, and for some it grows into a successful career. I spoke to established ghosts to ask them for their advice, including Andrew Crofts, a ghostwriter so successful that it is known in publishing as ‘the Crofts effect’. He has written more than a dozen Sunday Times bestsellers, including Zana Muhsen’s Sold. Full text is available on the Ideastap website here, or after the fold. I found out last week that my article “In Deep Snow” was the winner of the Independent on Sunday/Bradt travel writing award. It was published with a few of my photos in the Independent on Sunday’s travel section this weekend. The theme this year was “A narrow escape”, which was interpreted very differently by all the shortlisted writers (including one who cleverly wrote about a trip on a narrow boat in the Norfolk broads). All of the shortlisted entries are available to read on the Bradt website here. Full text of the article can be found on the Independent’s website here, or after the fold. 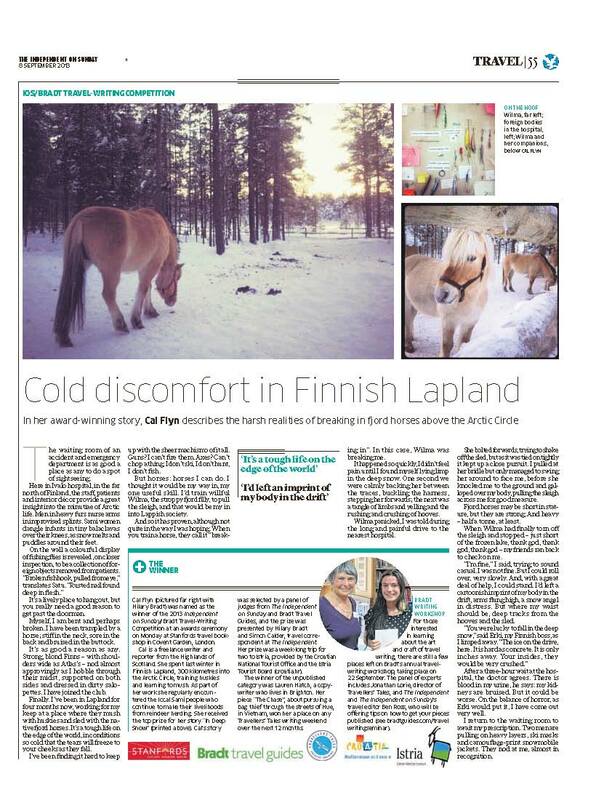 I am delighted to have won the Bradt/Independent on Sunday travel writing competition 2013, with my article “In Deep Snow” – a story of how an attempt to break a fjord horse to harness ended in disaster while I was living in Arctic Finland last winter. 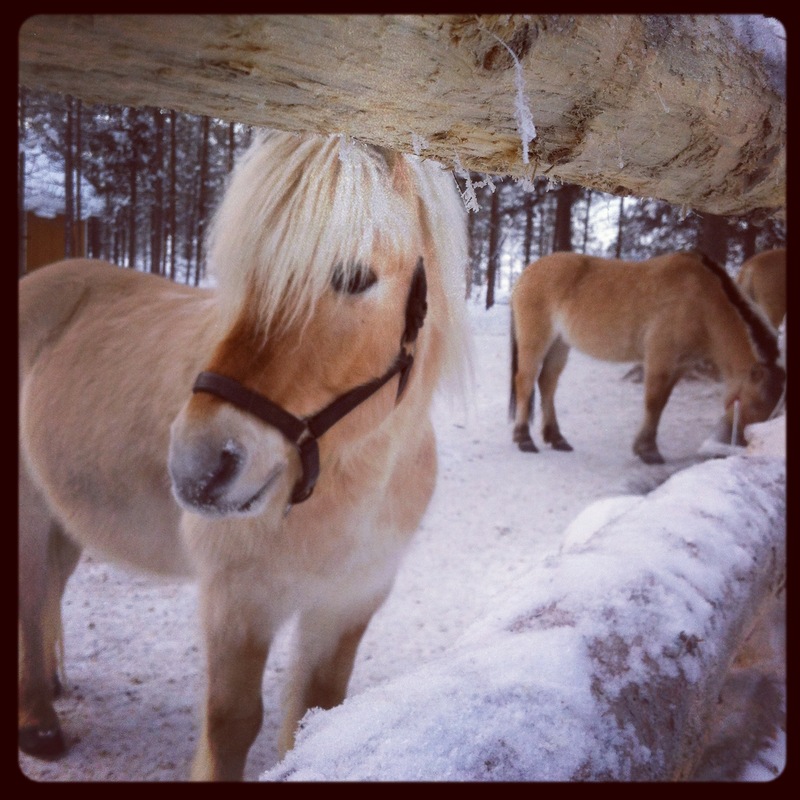 (Wilma, the offending horse, can be seen on the right in the image above). My article will be published in the Independent on Sunday’s travel section this weekend – please pick up a copy if you can, and I will also post the cutting online on Monday. The prize is a week-long trip for two to Istria, courtesy of the Croatian Tourist Board and a commission to write about it for the Independent on Sunday. I can’t wait.